Size of this preview: 800 × 504 pixels. Other resolutions: 320 × 202 pixels | 640 × 403 pixels | 1,024 × 645 pixels | 1,280 × 806 pixels | 3,895 × 2,454 pixels. 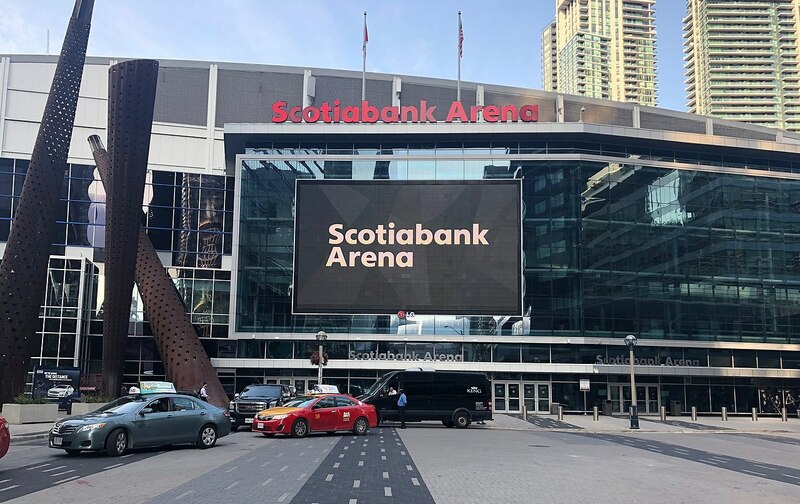 current 12:08, 20 July 2018 3,895 × 2,454 (2.07 MB) Sikander File:Scotiabank Arena.jpg cropped 3 % horizontally, 19 % vertically, rotated -0.78° using CropTool with precise mode.